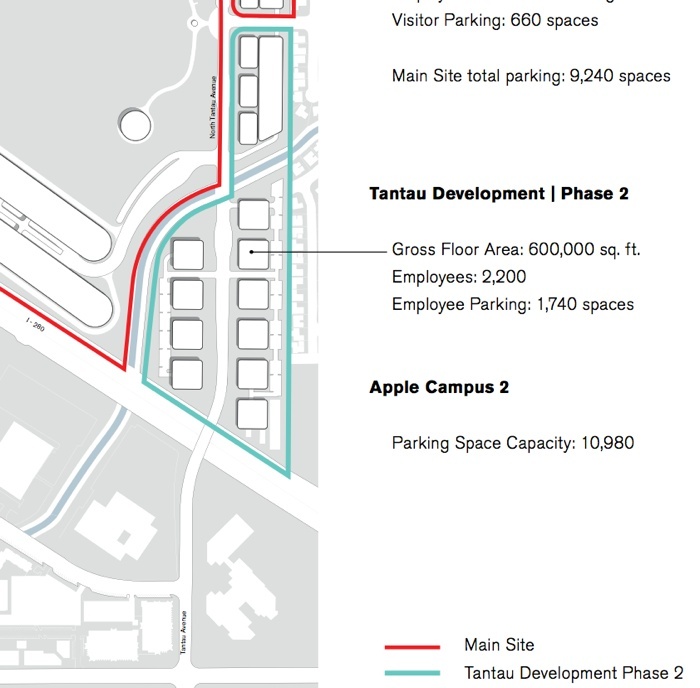 Earlier this month, a report revealed that Apple's upcoming "spaceship" campus in Cupertino is both behind schedule and $2 billion over budget. Apple was said to be looking to cut costs on the project, which is apparent in the revised campus plans that it submitted to the city today. 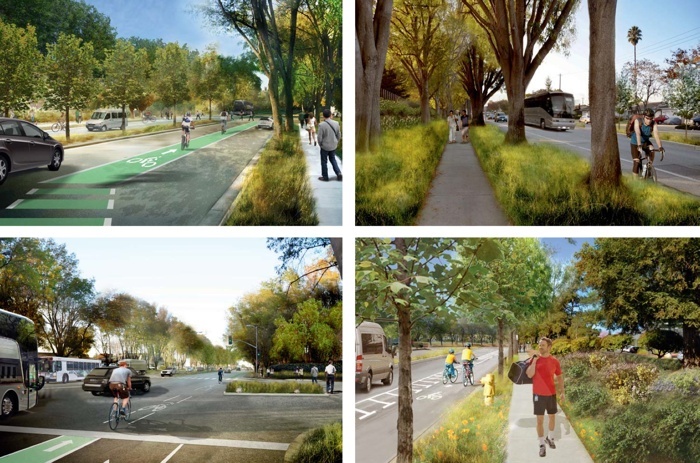 Apple's revised campus plan includes the addition of an expanded section detailing bicycle access improvements, which comes with an included visualization of what bike pathways and sidewalks might look like on the campus. Apple Campus 2's budget rests near $5 billion, which is said to be because Steve Jobs insisted on design quality and expensive construction methods. The Campus, a circular 2,800,000 square foot 4-story building, is designed to hold 12,000 employees and has a prospective completion date of 2016. I wonder if Apple will wait until the Campus is built and they move in before they work on the Mac Pro? That sounds more like delaying costs than cutting costs. My friends who work at Pixar bike from San Fran (take their bikes on the train), a lot of people do. Apple isn't close enough to the city, however I'd like to see Apple give incentives to workers who bike. It'd cut down on traffic, parking lots and long term maintenance costs. The weather is temperate for most of the year. How about the "incentive" of good health and a greener planet. Isn't that enough of an incentive for bikers/walkers?? Works for me! Why do some people think the employer needs to pony up in the equation? Walking or biking is the ultimate think global and act local at its finest! I don't need any incentive to act responsible and help the planet for future generations. oh and perhaps I am being petty but it irks me to see the child cycling next to the traffic in that pic. I know its just an artist rendering but adults should always be the ones who cycle next to the cars. If the adult is the main wage earner of the household, it may make more sense for the child to be the one next to the cars. So "Tantau" is the code name for the new Mac Pro, right? I think it's no coincidence that Steve Jobs really focused a lot on this new campus towards the end of his life. He probably felt that this new campus plan and design would keep the innovative spirit at Apple alive long after he's gone. Just like he did with Pixar. Anyone who knows anything about the Pixar building can see this new Apple campus will have an even greater effect on Apple than it did at Pixar. To compare this to the cost of another huge project: The London Olympics cost about £9 billion (about $14 Billion). It was £12Bn in the end. So the new Mac Pro is space ship round? This explains the delays! Also why is it that CGI's of mock ups always have badly lit people with 34 points of light? Whoever put those together should be shot.. Oh they were composited on the 2010 Mac Pro and it couldn't render the images for lack of power..Fair enough!